Looking to beautify and waterproof a concrete surface? IntelliDeck deck membranes are an easy solution to add new life and protect concrete surfaces. 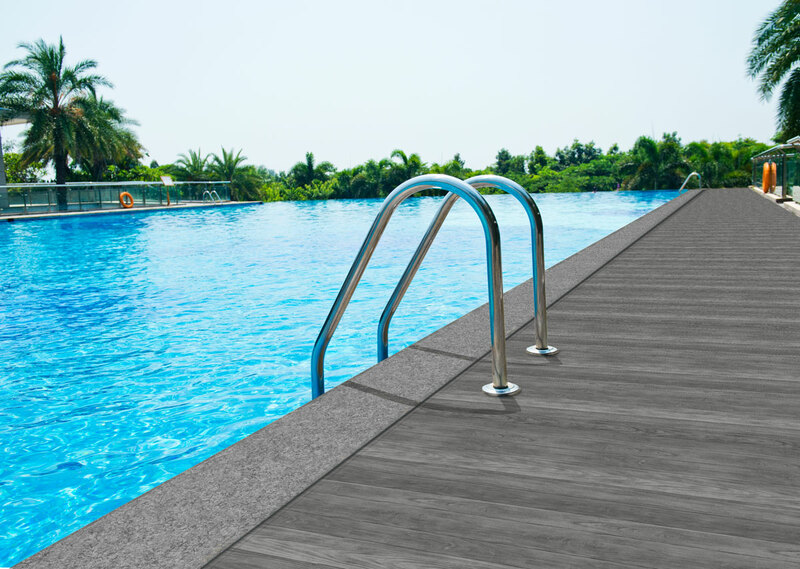 Not only will IntelliDeck membranes enhance the beauty and life of the surfaces, but with our proprietary cool colors formulations, those surfaces will be much cooler on your feet on those hot summer days. Speaking of feet, IntelliDeck’s surface patterns will keep your feet from slipping and sliding on those rainy days or when there’s still a hint of morning dew. Beautiful patterns, cool on your feet, and slip resistant, but let’s not forget …DURABLE and EASY. IntelliDeck is designed to withstand the elements and look good doing it…we back this up with our 15 year warranty. Keeping your surface clean has never been easier. Unlike other surfaces that require a weekend to clean, your IntelliDeck just needs a bucket of warm soapy water, a mop, and hose to rinse it down. It’s simple, it works and yes, you can use a pressure washer too! Give that concrete surface a makeover and extend its life with a durable, great looking, easy-to-maintain surface membrane from IntelliDeck.